As part of our Live and Invest Overseas 12 Days Of Christmas Event, we’re offering five additional complimentary VIP Packages for our Live and Invest in Ecuador Conference. The original allocation of VIP Packages sold out weeks ago, so this is your very last chance to join us in Quito this March 20–22 with full VIP privileges. 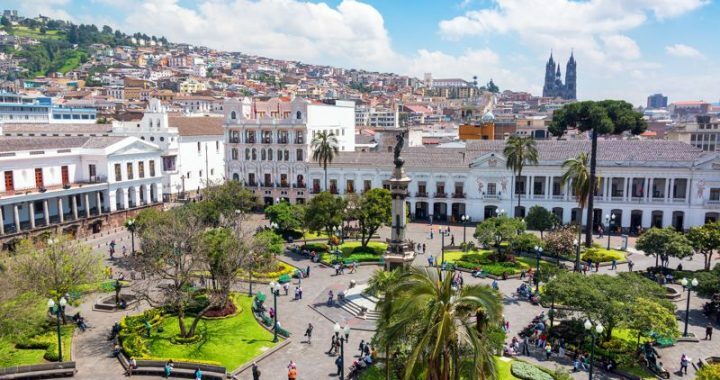 Ecuador uses the U.S. dollar, meaning you never have to worry about changing your money at the border or figuring out exchange rates when shopping. It offers one of the world’s best retiree visa programs, the 9-I rentista. With it come a bevy of discounts and benefits, including the ability to ship in used goods duty-free, a discount on vehicle import tax, a special discount on property tax, vehicle tax, and judicial fees, plus refunds on sales tax. And, once you qualify, you never have to re-qualify or re-substantiate your income. Low cost of living. Whether you spend US$750 per couple per month in the country or US$1,250 in Cuenca’s historic center, it’s hard to find a place that offers you so much lifestyle for the money. Its colonial charm makes it a cultural gem. Both Cuenca’s historic center and the city of Quito are protected by UNESCO. Established expat communities help to make the move turnkey. You’ve got a built-in support system that has paved the way for you in advance. As a tax haven, you won’t be taxed heavily here as a resident—you won’t be liable for income tax, capital gains tax, estate tax, or foreign earned income tax. Ecuador offers a great package of senior benefits, including 50% off all public transportation; 50% off national and international airfare; 50% off all cultural, sports, artistic, and recreational events; and 50% off electricity, water, and telephone service. Excellent, affordable medical care. Many come to Ecuador just to take advantage of their excellent physicians and facilities at unheard-of costs (for this reason, many expats choose to “go naked” on their health care here and pay as they go). Due to the high altitude of this mountainous country, the springlike climate is generally thought of as being ideal… Ecuador’s perennial springlike climate in the mountains means no heating or air conditioning is required here. There’s little fluctuation throughout the year, and temperatures rarely rise above 75°F. Humidity is a comfortable 75% or less in most places (year-round), annual rainfall is low (at about 32 inches per year), snow is rare and light when it does occur (in Cuenca, for example). Of course, things heat up at sea level around the coast. The next five people to register will qualify for a free VIP Package—the last ones we’ll offer. This deal disappears at midnight tonight (or once all five seats are gone—whichever happens sooner). Don’t miss out. Posted in Live And Invest Overseas Confidential and tagged Conferences, Ecuador.